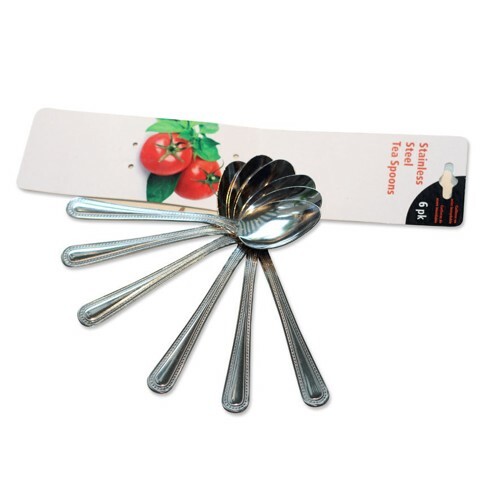 Stainless Steel Teaspoons 6Pk. 1mm Thickness . Polished Stainless Steel . Stainless Steel. 16G Packaging: Backing Card with Tie.